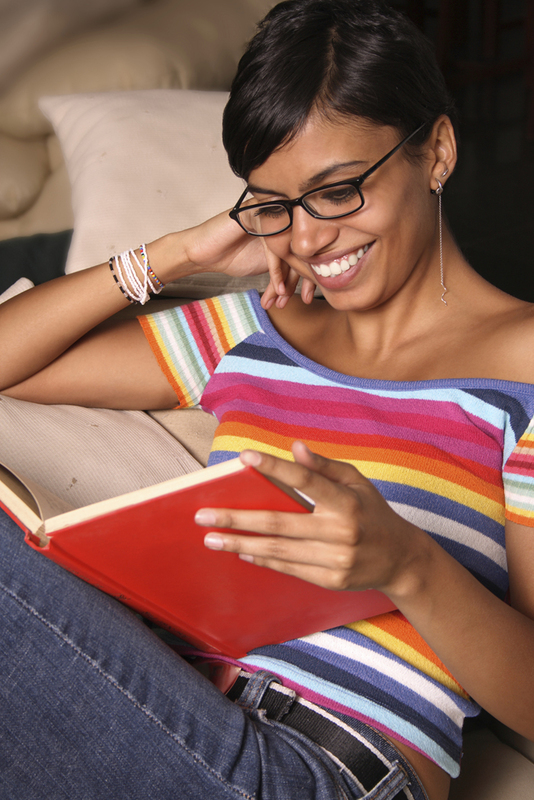 Bookish Relish: How to learn speed reading? Place your right hand sideways on the page and, slowly and evenly, move it straight down the page, following smoothly with your eyes. gradually increase the speed of your hand to increase the speed of your read. Use a card above the line of print to block the words after you have read them. Be sure to push the card down faster than you think you can go and try to read the passage before the words are covered up. Use your fingers to draw your eyes across the page by sweeping your hand from left to right in a fast, smooth motion under the line that you are reading. Similar to the sweep, except that with the hop you actually lift your fingers and make two even bounces on the line. This method also ensures a steady pace and rhythm. You know you have arrived when you master the zig-zag. It is the quickest form of scanning and allows you to cut across the text diagonally, picking up words in the whole paragraph rather then each word on a line. The ultimate in speed reading, this unauthorised technique involves jumping from the first to the last page with an optional stop on the middle page for a little more in the way of suspense. Nice post on speed reading. I've been teaching these skills for a number of years and those are definitely some of the most common techniques. There is also a method for speed reading on the computer screen... it's known as "Rapid Serial Visual Presentation" (RSVP).